Criminal law is a body of law that deals with crime and criminal offences and their consequences. It covers many specific areas of law (Please see below under question three). This area of law involves a wide range of criminal cases. These can include high profile cases, such as murder, to low profile cases such as minor motoring offences. Parliament is responsible for criminal law while the Ministry of Justice manages the courts. The Ministry of Justice also manage the general infrastructure of the criminal law. The body that is responsible to deal with criminal law is the Crown Prosecution Service. What specific areas of criminal law do you specialise in? Our lawyers are specialised in criminal law. They are highly trained to undertake all types and sorts of criminal law cases. Our law firm specialises in every area of criminal law. This is includes, but is not limited to, serious assaults, fraud, sexual offences, drug offences, firearms, robbery, theft and burglary. We also specialise in white collar crimes, prison laws, motoring offences, murder, terrorism, and money laundering. How do I know if I am guilty? It is very difficult to determine whether you are guilty or not by just looking at the law and the evidence. You are required to seek a lawyer that is specialised in criminal law to help you establish your case. A person is considered guilty only if he or she has evidence against them. The evidence must prove beyond reasonable doubt that the offence has been committed by them. We are here to provide assistance in the matter. How much does it cost for a criminal offence representation? It is very difficult to categorise each case and its relevant price. However, we can provide you with an approximate indication of the likely cost. Also, we offer a “no win, no fee”. This means that in case we do not win the case for you, you won’t be liable to pay us anything. Do you represent under individuals under 17 years of age? Yes. However, if you are under 17 years old, you are entitled to an appropriate adult accompany you at the police station. You are also entitled to be represented by a criminal solicitor which may be arranged by your parent(s). Our law firm has solicitors who are majorly experienced in the representation of youth in criminal offences. We are aware of the importance of conveying a non-complex explanation as well as without the use of legal jargon. At what court will my case be heard? Your case may be heard at either the Magistrates Court or the Crown Court. Cases always start at the Magistrates Court. However, many criminal offences are referred to as “either way” offences. These offences may be heard either at the Magistrates Court or the Crown Court. The Magistrates who are the Justices of the Peace, decide to what court is your case most applicable. The Crown Court on the other hand deals with more serious criminal offences. Indictable cases, jury trial cases, and appeals against decisions made by the Magistrates Court are heard at the Crown Court. Our team of lawyers and legal professionals can assist you further on the matter in more depth and detail. Can the police search my premises? The police are entitled to search your premises usually by obtaining a warrant from the court. However, in some cases they are also entitled to search your premises without a warrant. This can be when they are to arrest a person for whom a warrant for arrest has been issued by the court during criminal proceedings. Additionally, when they are to arrest a person that has committed a serious crime, an indictable offence that is to be heard at the Crown court. Can I be detained in police custody and for how long? Yes. The police may detain you up to 24 hours without you being formally charged with a criminal offence. However, with authorisation from the Magistrates Court, the 24 hours may be extended to 36 or 96 hours. This could be the case if you are to be suspected of a more serious crime such as murder. Moreover, the police may detain you for up to 14 days if you are arrested under the Terrorism Act. Do I have to respond to questions set by the police? No. Anyone who is arrested or detained by the police is entitled to remain silent. However, you should note that sometimes there are risks associated with remaining silent. This therefore gives you a strong reason to have a lawyer accompany you at the police station for your representation. A notice of intended prosecution is from the police and indicates that there has been an offence recorded. It also indicates that their intention is to prosecute the person that is responsible. The police are required to serve the notice of intended prosecution within 14 days of the date of the offence. Most of the notices occur in motoring offences. In these cases you are required to identify the person driving the vehicle during the time the offence was committed. You must do this within 28 days from the time of receiving the notice of intended prosecution. Am I entitled to legal advice at the police station and why would I need a solicitor at the police station? Upon your arrest, the police are obliged to inform you about your rights to free legal advice prior to your questioning at the police station. Your first option is to ask for the police “duty solicitor”. The duty solicitor is available 24/7, to acquire legal advice from the Defence Solicitor Call Centre which will be contacted by the police. Your second option isto ask the police to contact your own solicitor, which in this case will be us. Also, in cases of small offences, you may be entitled to “over the phone” legal advice which is free of charge. It is in your own best interest to have a solicitor present with you at all times, especially at the police station processes. A solicitor present with you at the police station will advise you. This advice will initially be on how to approach an interview and questioning by police officers at the police station. Also, a solicitor can provide you with advice on what to consent to. This could include things such as the providing of blood samples, urine samples, samples of DNA, and fingerprints. If I am arrested outside of working hours, will you be able to assist me? Our law firm and its legal professionals are available 24 hours a day. 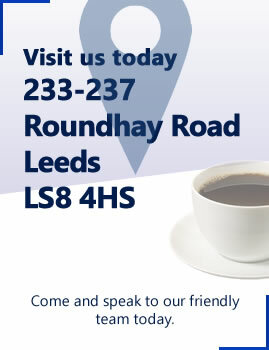 In case you are arrested outside of regular working hours, you are entitled to contact our emergency number: Leeds Branch: 01132 49 49 49 or Rochdale Branch: 01706 39 33 33. In this case you are to provide the police with this number when informed about your legal right to legal assistance. Can I represent myself at the court room? Yes. You are entitled to represent yourself at the court room. However, our law firm and legal professionals strongly advise against that. We strongly recommend that you contact your solicitor or have the police appoint you one. We are aware that no natural person can represent themselves in a better way than when a solicitor represents them. No matter how educated you are about criminal law and criminal proceedings, a well experienced solicitor always has more experience in the field. 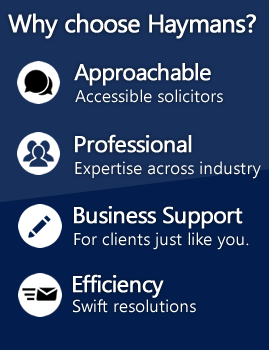 A solicitor has the expertise and a lifelong experience to represent you in the best way possible. They can also guide you completely throughout your case. Can I be stopped and searched by the police on the street? Yes, the police are entitled to stop and search you on the street. They are entitled to do so in case they have reasonable grounds. These grounds can include suspecting that you are in possession of prohibited drugs or that you match a certain wanted person’s description. Also, in crucial times, such as times of terrorism, the police are entitled to a much wider scope and powers related to stopping and searching you on the street. However, it is crucial to note that a police officer has to be in uniform and/or must show you their warrant card. The police might ask you about your name, the reason why you are in the specific area at that time, and where you are headed. Note that you are not obliged to answer any of these questions and that may not be used as a reason to arrest you unless there are more reasons and evidence of why you must be arrested. Can I switch from my current solicitors to one of yours? Yes. However, note that our law firm or legal professionals will not be liable for any of the fees that you and your current solicitor have in common. You and your current solicitor are to, first of all, settle your fees. Second of all, your solicitor is to release the file to you. In case you desire that your current solicitor is to send the file to your new solicitor, your new solicitor will have to send your current solicitor a mandate for the file.